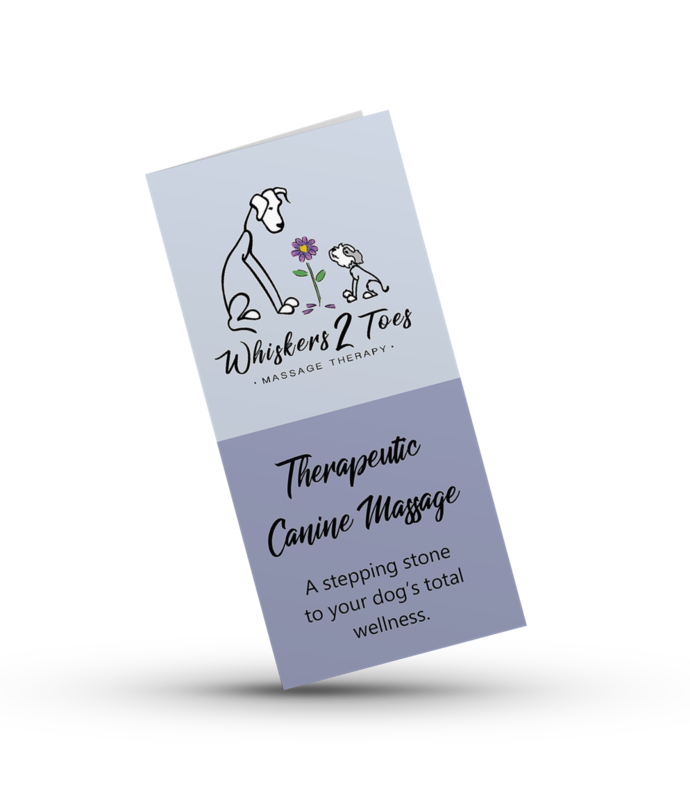 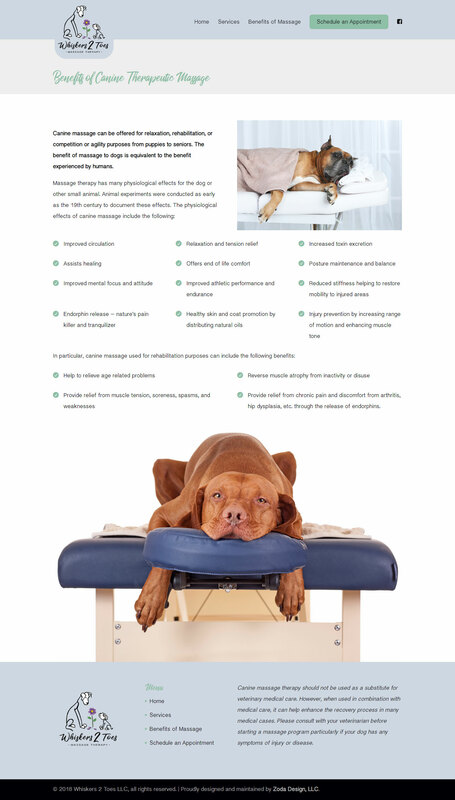 Whiskers 2 Toes LLC is therapeutic canine massage company based in Fredericksburg, VA. 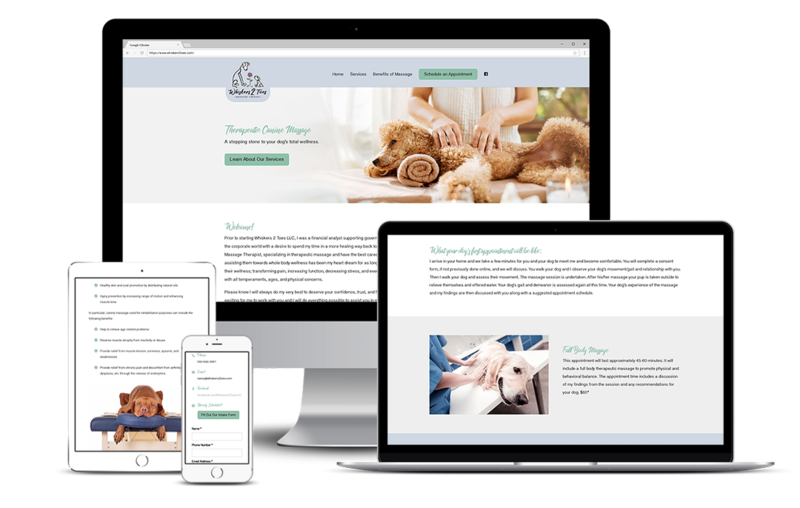 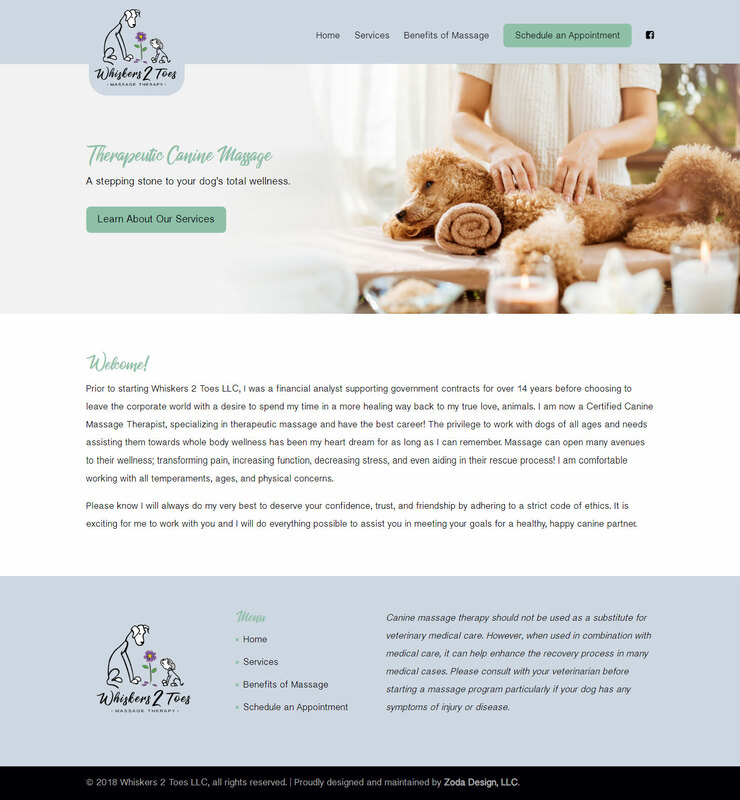 This website was built with the Divi theme from Elegant Themes and included a custom intake form, a contact form, and social media integration. 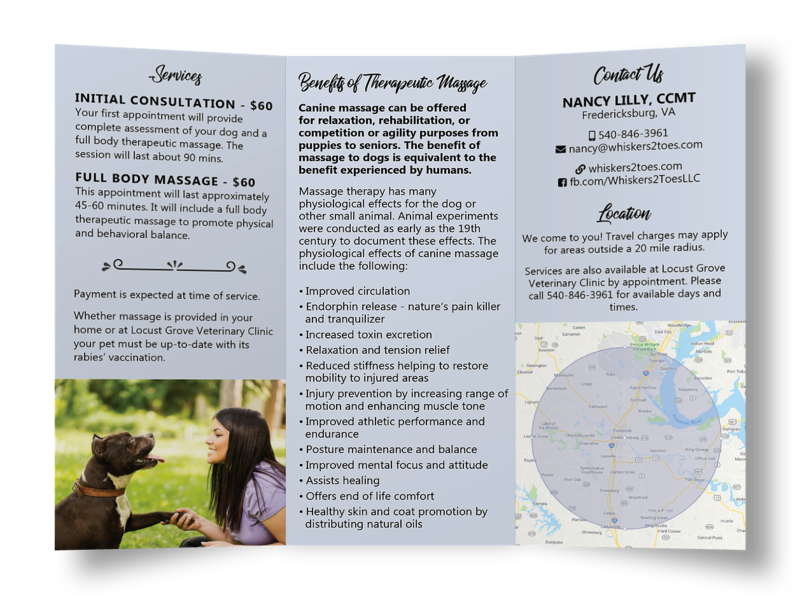 We also prepared a trifold brochure and a postcard for them.